There is so much to do and see without ever leaving the park. Hiking trails, boat tours, swimming. The activities vary by season. Our summers have chimney swifts nesting in the Lodge, the fall brings manatees upstream to enjoy the warmer waters of the springs. The Springs have been famous for its wildlife since they were first made famous through the writings of John Muir in 1867. The springs were preserved through the forsight of Edward Ball when he purchased it and put the springs in the public trust. Leaving just yards from the Lodge about every hour from 9am to 5pm, the Jungle Cruise takes you on a nature tour from the Springs up the river. 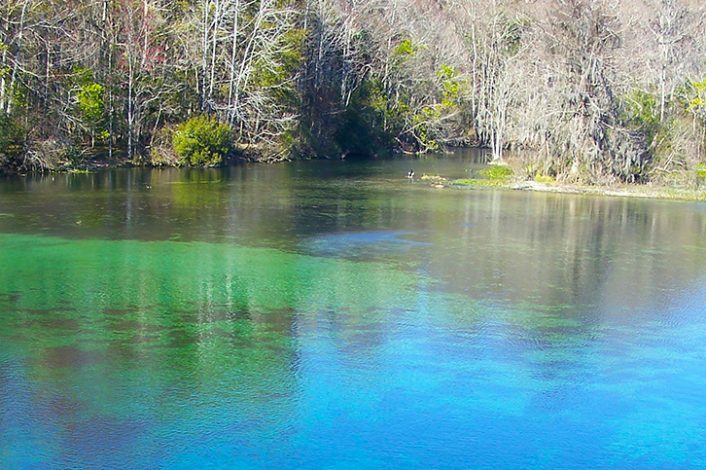 Experienced guides tell you about the environment, wildlife, and history of the springs. 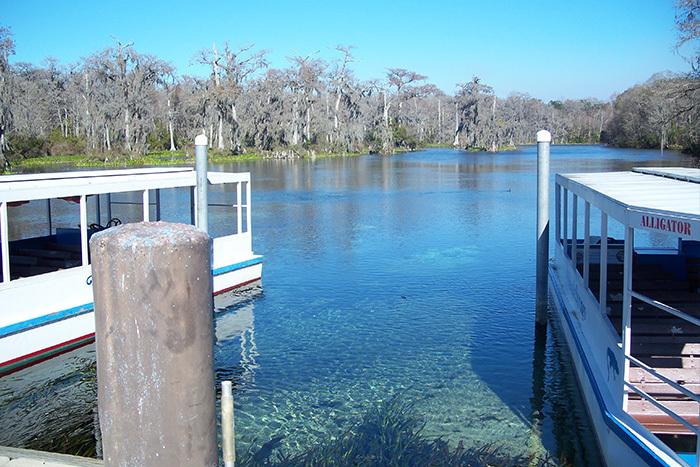 A hike at Wakulla Springs is centered around one of the world’s largest springs, where a swimming area and diving platform awaits. So build up a sweat on a hike, and cool off with a swim. 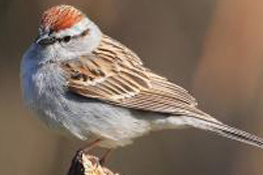 There are 182 birds that are observed one or more times per year in the 6000 acers of parkland that aurround the Lodge. Please refer to the key definitions below for seasonal abundance and nesting information. 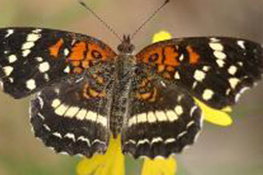 The area around Wakulla Springs abounds with butterflies. 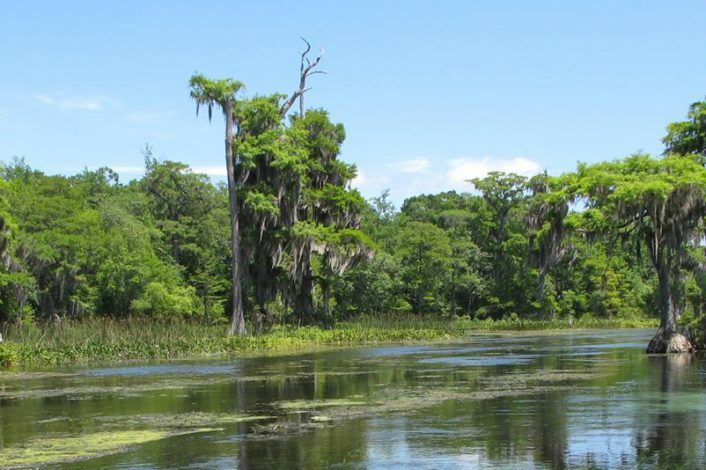 Just 14 miles from the Lodge is the St. Marks Wildlife refuge, where every year countless Monarch butterflies start their migration across the Gulf of Mexico to Mexico for the winter. Inside the park, or at St. Marks, butterflies abound. 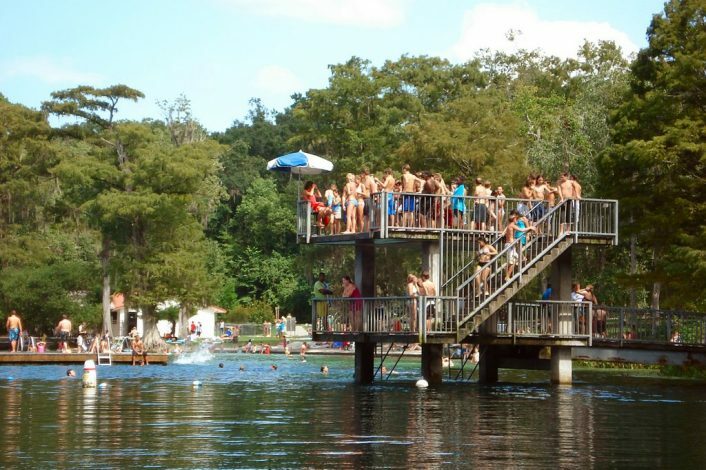 Directly behind the Lodge, you can swim in Wakulla Springs. The water is 68F (20C) year round. Swimming is allowed year round, weather permitting. 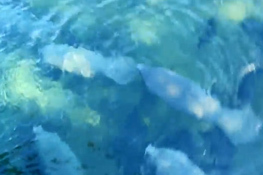 After extensive work on restoring the habitat at Wakulla Springs, manatees have returned to the springs. These gentle creatures come upstream to stay in the waters of the Springs in the fall for the warmer spring waters. 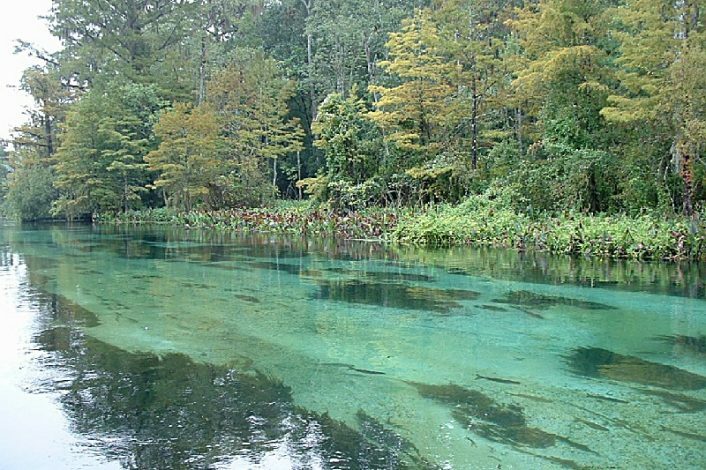 Sally Ward springs is in Edward Ball State Park, located just before the ranger station as you enter. 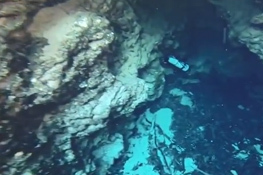 Public cave diving is not allowed in the park, but there are cave diving opportunities in Wakulla County, including Indian Springs, a near by property to the park.